3:2 Surface. With its QHD+ display and Kaby Lake 15-watt SOC, Lenovo’s IdeaPad Miix 720 represents formidable competition for the Microsoft Surface. But the unbalanced fans and low-quality microphone spoil the 12-inch model for us. The Lenovo Miix 720 detachable Windows tablet offers a very good display and other useful features, but it's not as good a value as its little sibling, the Miix 520, nor as capable as the Microsoft Surface Pro. It will get you through the average working day, but the Miix 720 is no stamina champion. Still, that’s the worst thing you can say about it. Given the competitive spec, effective design and the fact that you get the keyboard and stylus bundled in, it’s not just a Surface Pro clone but a credible alternative. The Miix 720 was as much fun to use as it was functional. With Lenovo being primarily known as the Thinkpad and enterprise OEM, I would love if it next year my company began issuing the Miix 720 as our designated work PCs. With 8GB of RAM, USB-C, 2 USB-A and MicroSD card slots, it has enough ports to power displays and sort Excel sheets like a champ. 70% Lenovo Miix 720 review: Can it outsmart the mighty Surface? That's the thing about the Lenovo Miix 720: for all it gets right — and there is plenty — it's just not enough to win in this category and the longevity per charge will frustrate if this is your on-the-go machine. With powerful, near-silent and long-lasting competitors already available to buy instead — not to mention other full-on laptop competitor alternatives — this Lenovo only needs to up is battery life and it'd be a winner. Model: The Lenovo Ideapad Miix 720-12IKB is a stylish and lightweight 2-in-1 detachable laptop. It combines a chic design with a stunning display that will help users breeze through any task. 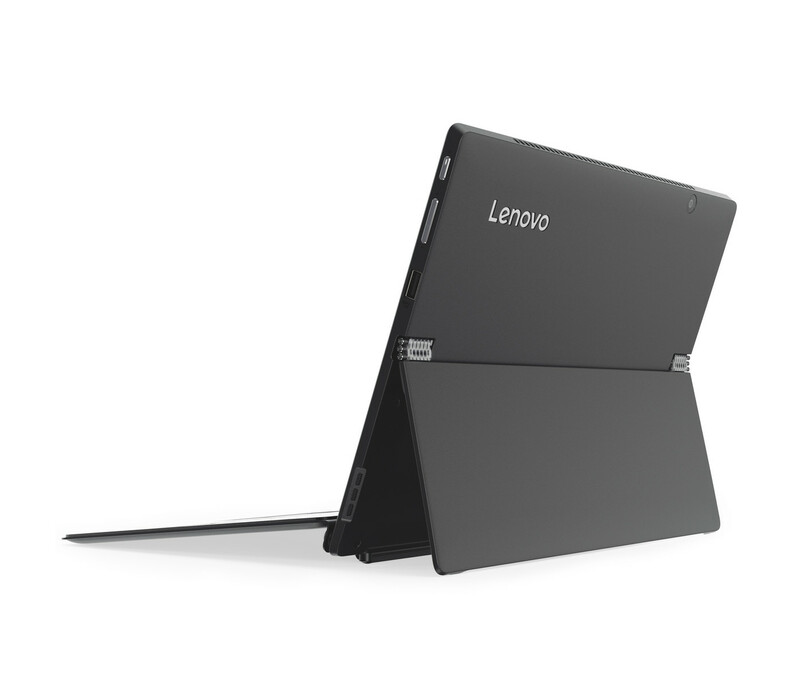 The 12-inch model promises full subnotebook capacity in a tablet with active fan cooling. In order to maximize connectivity in terms of the ports, Lenovo has built in a Type-C port with Thunderbird 3 as well as Type-A ports. At just 8.9 mm thin and weighing 780 g (without its detachable keyboard), the Miix 720 has a simple, streamlined design. Its one-piece metal alloy body paired with coordinated accessories make the Miix 720 a chic complement to user’s busy life. It is available in Champagne or Iron Gray color. The aluminum tablet is sturdy and stable. The stand is quite durable and warp resistant. The stand’s hinge is firmly connected and can be opened quite wide, securely supporting the tablet between 100 and 165 degrees. The keyboard mount is made of aluminum with a relatively high weight of 404 grams. The advantage of this design is in its strength and weight; even with a cavity underneath the keyboard surface, it remains rigid while typing. The premier feature is the screen in 3:2 resolution instead of the usual 16:9 display (2.880 x 1.920 pixels). The Miix 720 borrows these details from its smaller sibling, the Lenovo Miix 510 Pro (1.920 x 1.200; 16:10). Apart from the aforementioned similarities, the latter model had no Thunderbolt 3 or IR camera for Windows Hello, and only one FHD screen. The Miix 720 provides a personal, secure way to unlock the device without using a password. Thanks to the front-facing integrated infrared camera and Windows Hello support, the Miix 720 unlocks when it recognizes the user’s face in front of the screen. Alternately, it auto-locks when a user walks away. As for hardware specification, the Lenovo IdeaPad Miix 720 is offered with the Core i7-7500U SoCs. The SSD is a 256 GB (M.2) while the RAM is a DDR4 8 GB RAM. As well as being quieter and smaller than a standard disk drive, the durable SSD is also more likely to withstand an accidental knock or drop. The Lenovo Active Pen 2 complements the Miix 720 as an additional interaction point. Writing and notes can be made with the pen just as easily as by hand. The active pen has a battery. It should be noted that the heel of the hand can rest on the screen without creating any input errors. The pen holder in the USB port is practical and simple. Detachable and full-sized, the keyboard on the Miix 720 has backlighting to highlight each key. It also boasts 1.5 mm of key travel to feel like tapping away on a standard keyboard. 74.28%: This rating is bad. Most notebooks are better rated. This is not a recommendation for purchase.